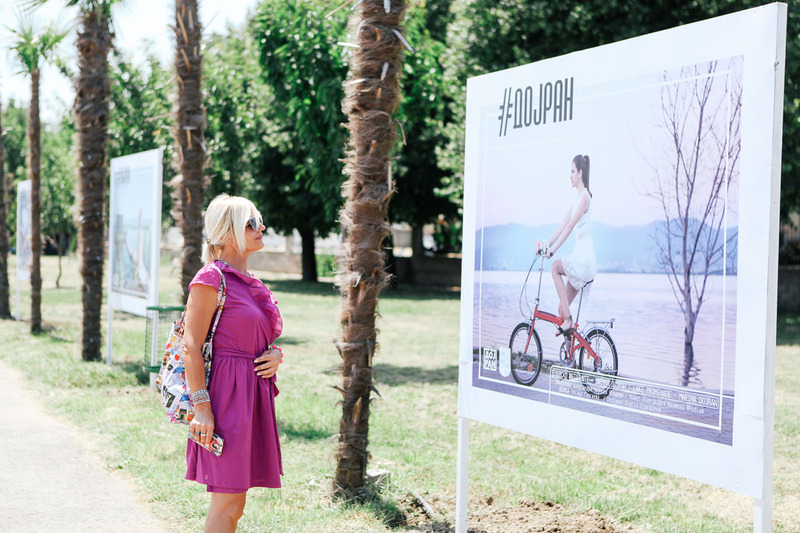 In the organization of Fashion Weekend Skopje and the Municipality of Dojran from July 2016, through thirteen fashion photographs and under the name “Dojran Resort” placed on billboards along the city beach in Star Dojran, tourists will be informed about the historical features of the municipality. The City Clock Tower, the Old Sheva Waterfall, and the church “St. Ilija “are some of the locations where models from the fashion agency Podium were posing: Ivana Geleva, Aleksandra Naumova and Simona Angelovska, dressed in creations of Macedonian designers. “This is really something new that has not happened in Dojran and the main impression is that this is a very interesting way of promoting and presenting the beauties of Dojran on one hand, but also the cultural and artistic attractions in a completely different way, immediate, through who can see, read and learn more about Dojran, “says the mayor of the Municipality of Dojran, Borche Stamov. The models are wearing creations of MCouture by Mila Kadriu , Jovana Filipovic, Irina Tosheva, Olgica Gjorgieva, FA-BU, Viktoria Arsovska, Emili Exclusive Design, EM Fashion Design, Farina’s handmade and SOFIJAFILIGRANSKA.